GO TWICE AS FAST. 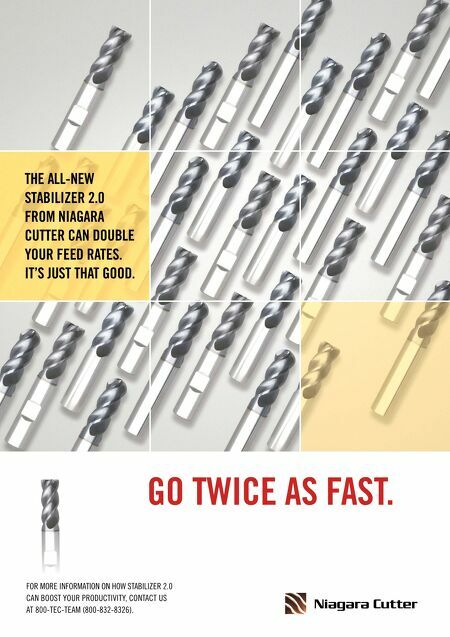 THE ALL-NEW STABILIZER 2.0 FROM NIAGARA CUTTER CAN DOUBLE YOUR FEED RATES. IT'S JUST THAT GOOD. FOR MORE INFORMATION ON HOW STABILIZER 2.0 CAN BOOST YOUR PRODUCTIVITY, CONTACT US AT 800-TEC-TEAM (800-832-8326).